Hair loss is a common affliction among men and women. Like other signs of aging, there is not much that can be done to prevent hair loss, and it often develops much sooner than most people expect. Fortunately, there are numerous surgical hair loss treatments to restore volume to the hairline and bring back a more youthful appearance. At True & Dorin Medical Group, we offer advanced surgical techniques that make hair transplant treatment safe and effective. While the risks of hair transplant treatment are minimal, patients should be aware that there is a small chance that complications will develop. One potential risk of a hair transplant is nerve damage. 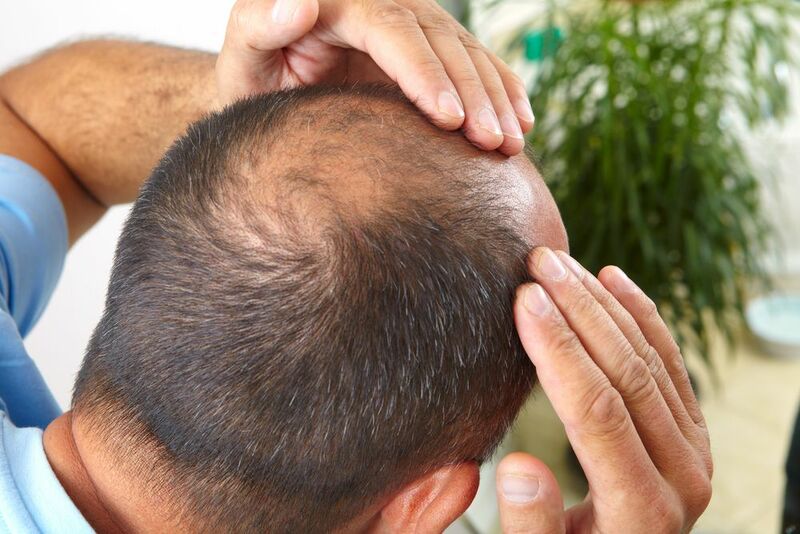 Hair transplants and nerve damage very rarely affect our New York, NY patients. Still, it is important for patients to have a full understanding of the potential risks of hair transplant surgery before committing to treatment. How Common Is Nerve Damage after Hair Transplants? Our doctors are always up front with patients regarding the risks of any hair loss treatment, because we want them to be fully informed before deciding on an appropriate treatment technique. Nerve damage is certainly a risk of hair transplant treatment. Nerve damage may occur at the donor site, the recipient site, or both. However, it is highly unlikely that nerve damage will affect our patients. Our doctors have experience and expertise that greatly minimizes the risks of hair loss treatment. Further, the techniques our doctors employ allow for superior control and precision, which decreases the risks of treatment even more. In the past, hair transplant techniques were less refined. It was common for patients to achieve results that looked unnatural and uneven. However, surgical advances now allow for far greater control during hair transplant surgery. Whether using the follicular unit transplantation (FUT) technique, or the follicular unit extraction (FUE) technique, we can carefully and precisely collect and transplant donor follicles without causing damage to surrounding nerves or tissues. Although nerve damage is rare, it is also important for patients to care for the scalp properly in the days and weeks following hair transplant surgery. By following all provided post-surgical care instructions, patients can further minimize the risk of hair transplant complications, including nerve damage. If nerve damage does occur, the patient will notice that parts of the scalp feel numb. However, it is important to note that numbness, itching, and tingling are all common side effects of hair transplant surgery. These symptoms are normal for the first several days after hair transplant surgery and can linger for a couple of weeks. If numbness persists several weeks after surgery, it is important to report symptoms to our doctors so that we can check for nerve damage. If you are interested in learning more about the hair loss treatments offered at True & Dorin Medical Group, contact us at your earliest convenience. Our doctors are happy to answer any questions you may have about available hair transplant techniques so that you can choose a treatment method that is best suited to your unique needs and desires.